A new mandate signed into law in 2015 requires West Palm Beach to account for future flood risks from sea level rise. The city is therefore developing a Vulnerability Analysis, which will synergize existing data and develop better data to be used in analyzing the possible effect of floods on water, wastewater, electricity distribution, storm water, transportation, habitats, buildings and residences. This information will be made available for mitigation and adaptation planning specific to the construction and renovation of vulnerable infrastructure. This project will therefore have direct impacts on social, political and economic decision making in the city with regard to future planning efforts. 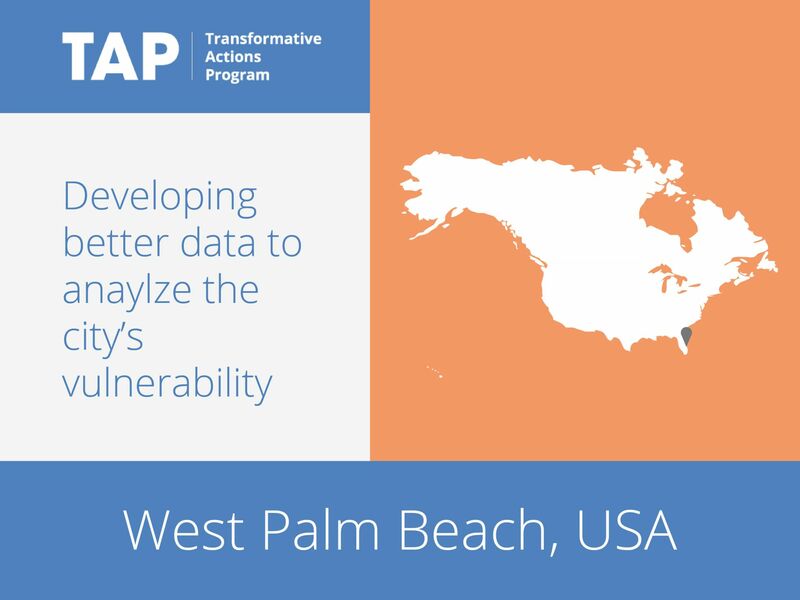 The Analysis will utilize the most current analytical tools such as Vulnerability, Consequences, and Adaptation Planning Scenarios (VCAPS) and FEMA’s HAZUS tool combined with enhanced GIS to develop an assessment of all of the City’s vulnerability to future sea level rise and climate variability. The project will be particularly useful in developing/updating the City Storm water Master Plan and Capital Improvements Projects and Budget.